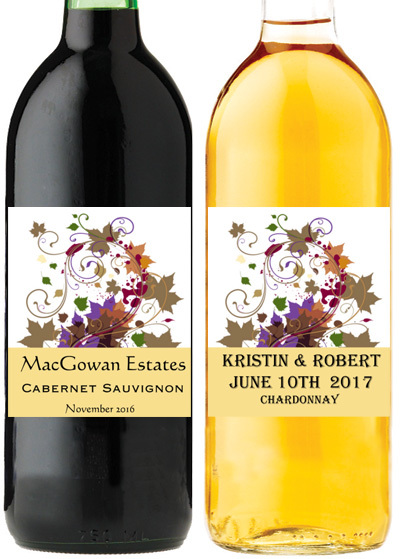 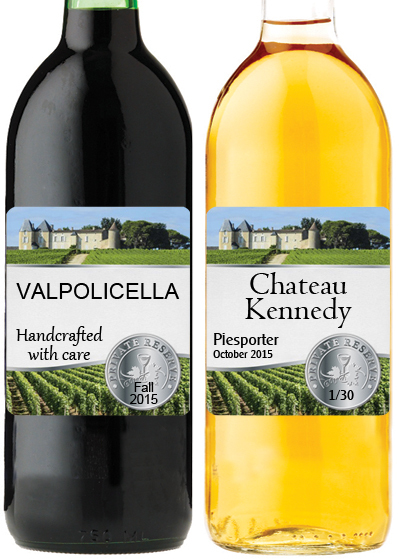 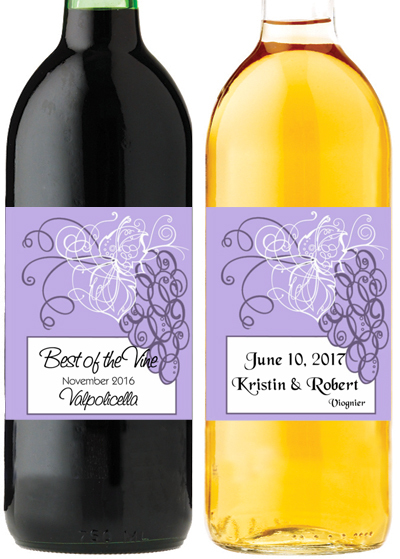 After you have chosen the wine for your special occasion the last step to personalize your wine is to add custom wine labels and foil tops. 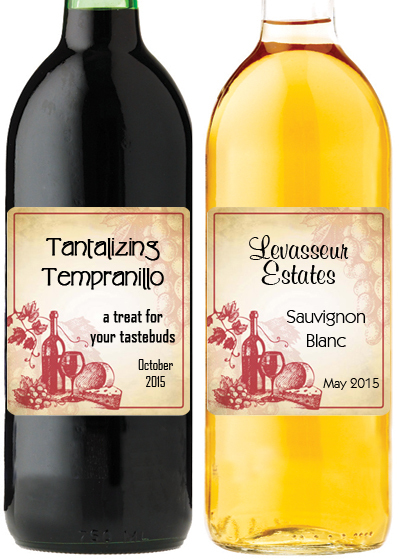 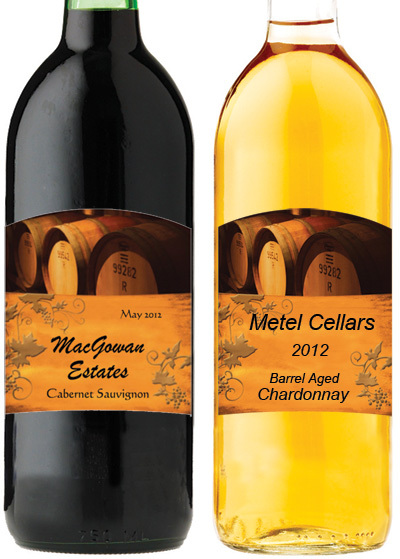 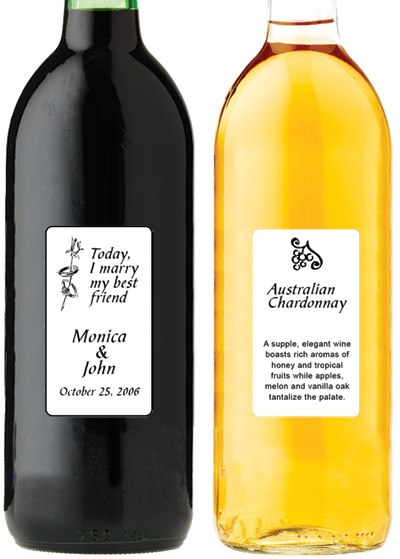 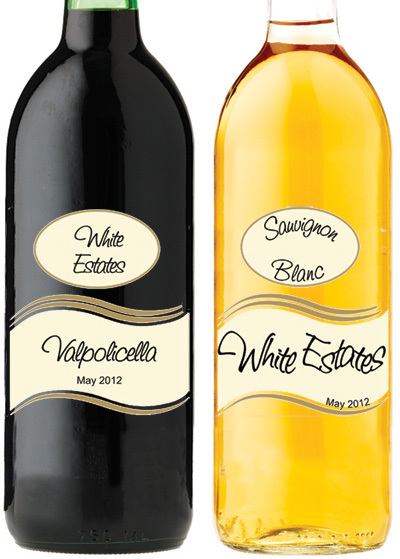 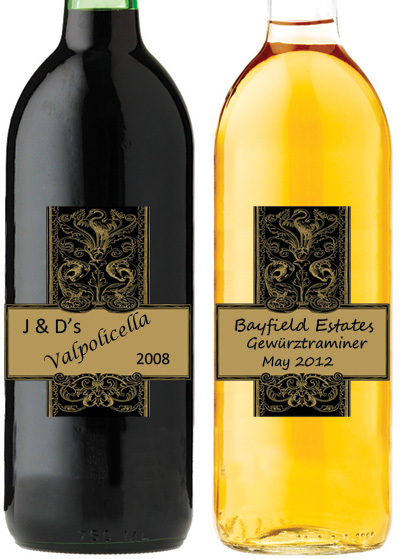 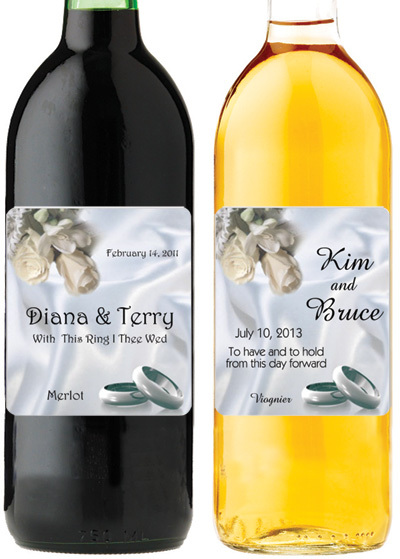 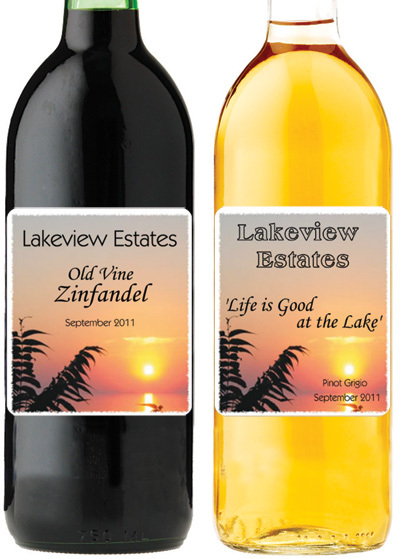 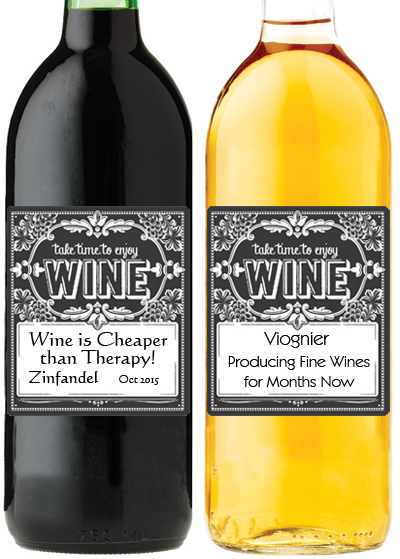 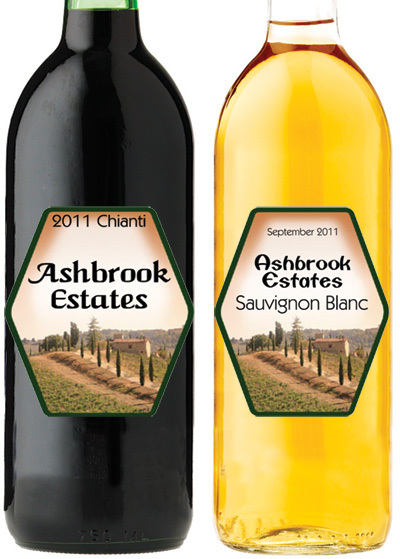 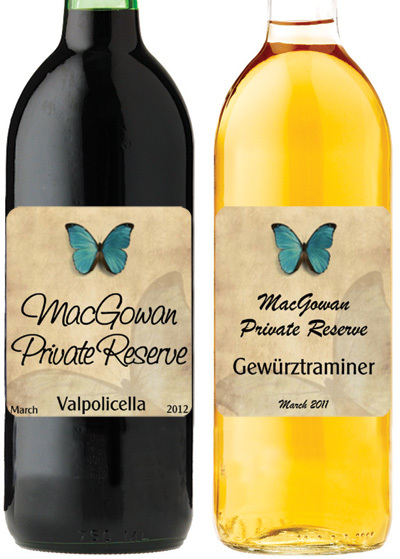 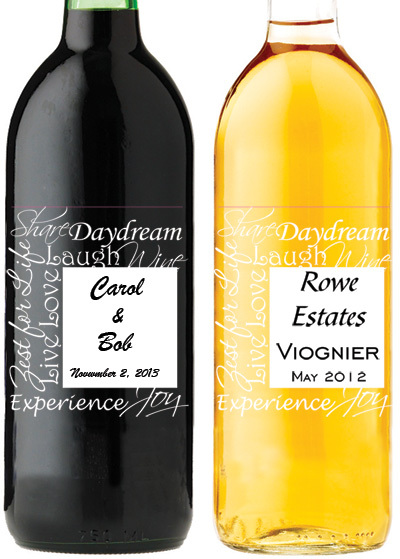 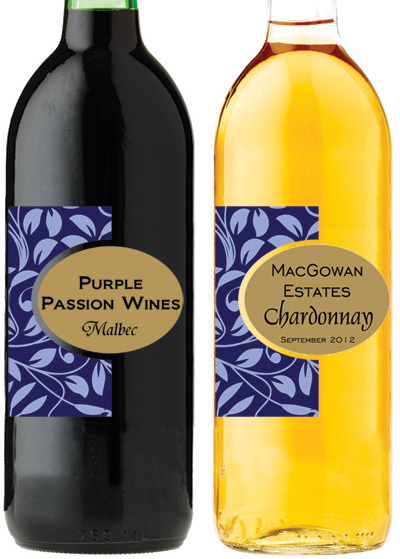 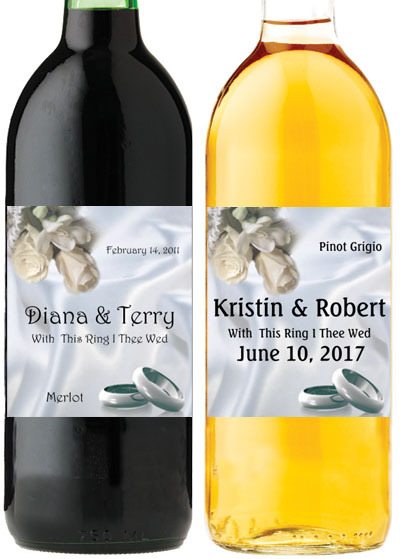 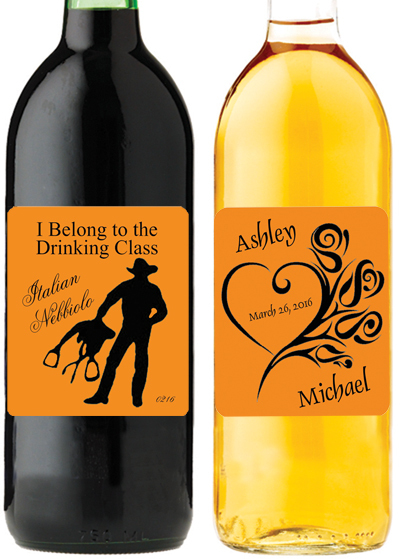 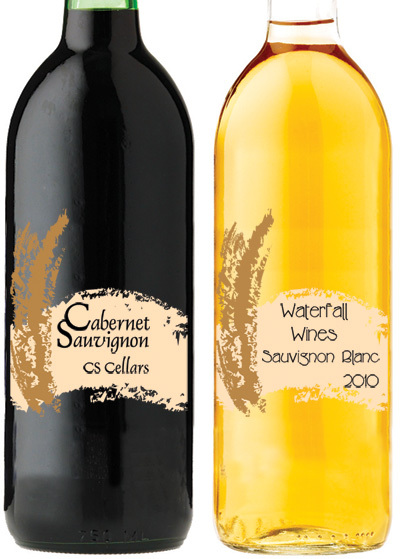 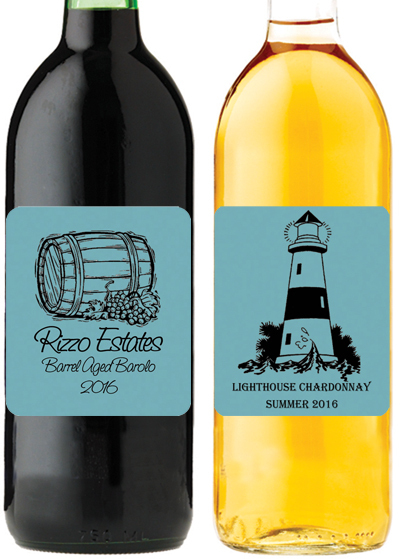 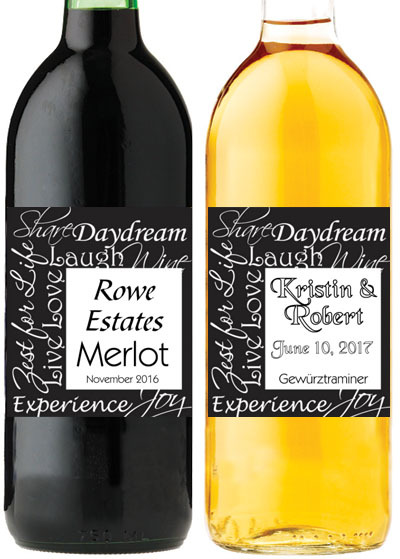 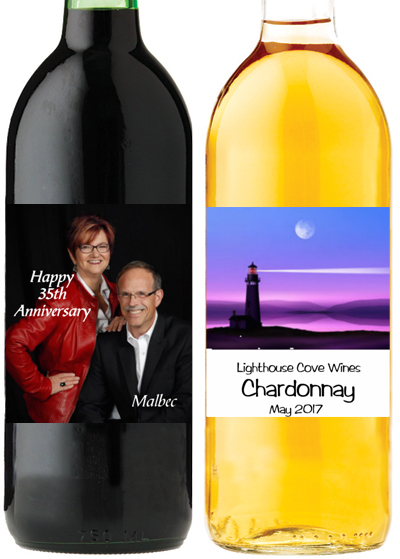 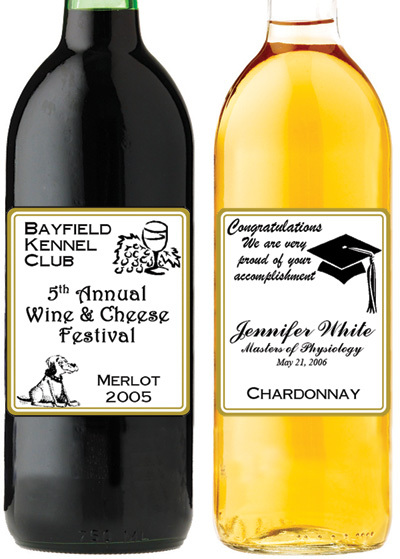 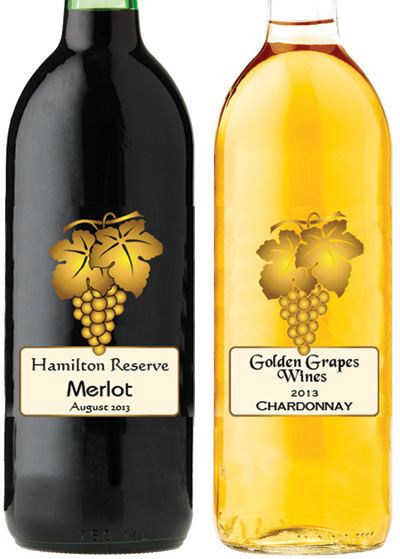 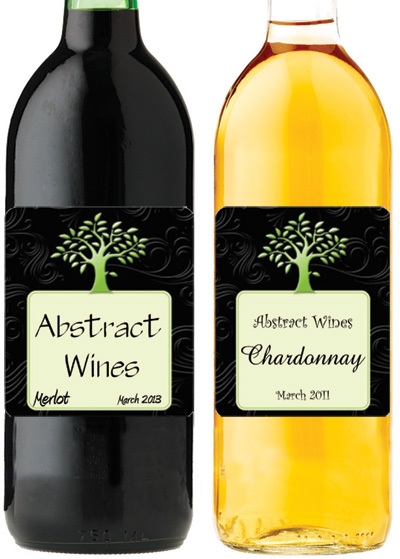 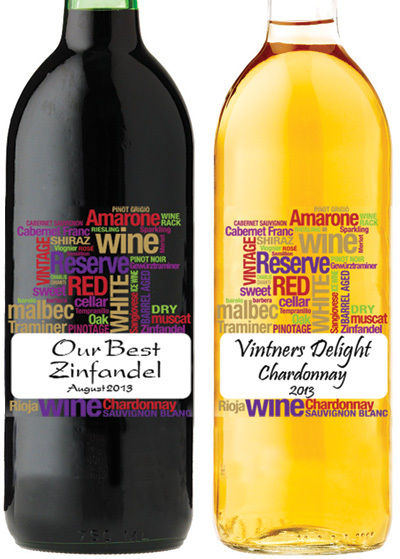 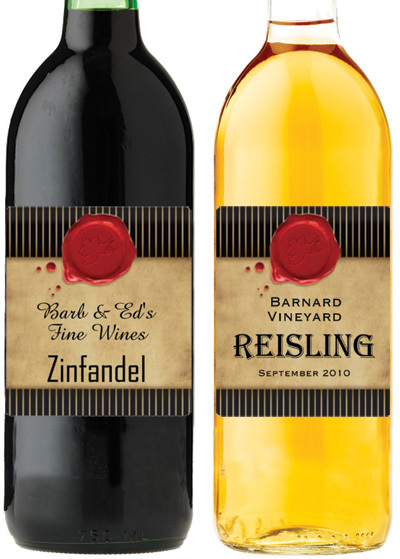 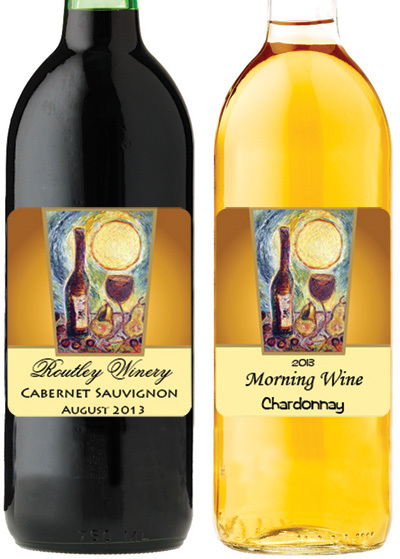 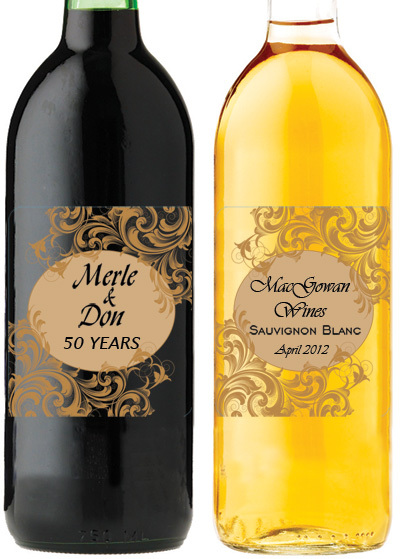 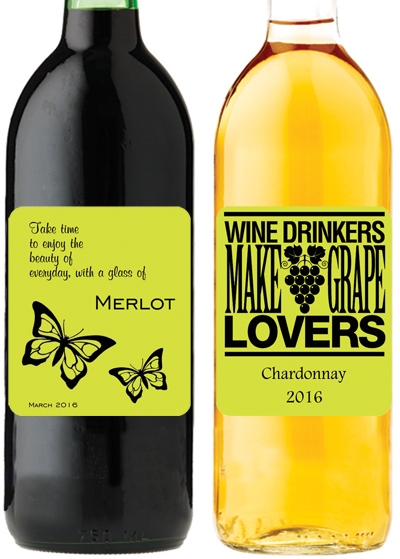 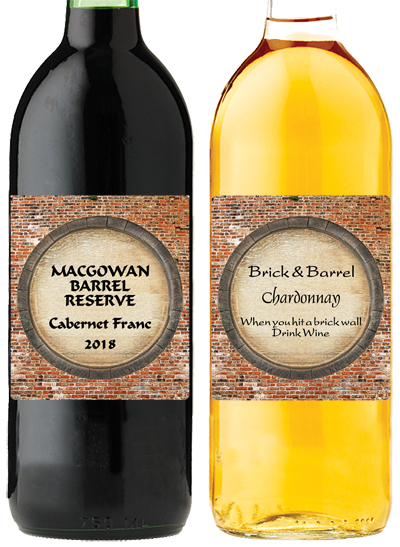 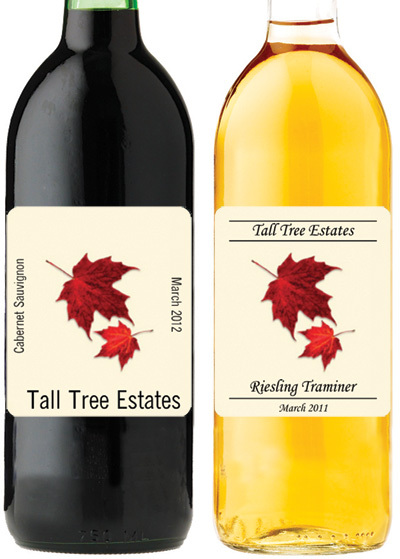 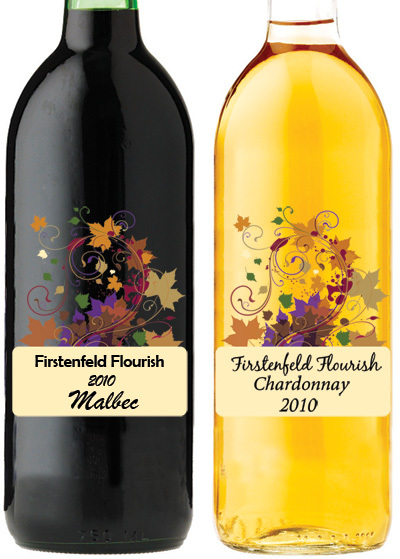 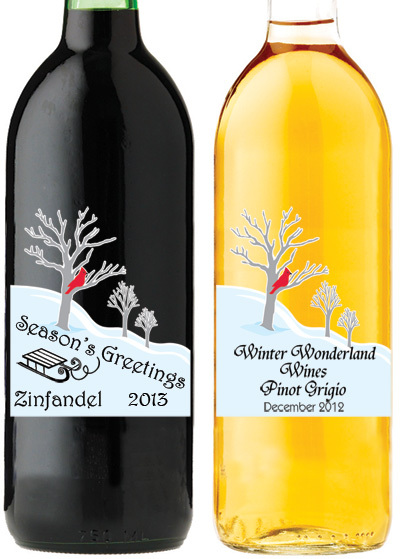 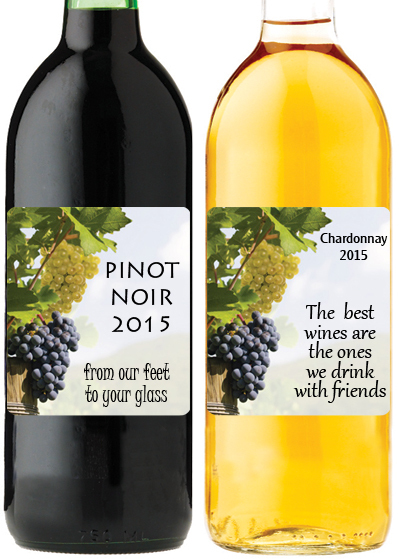 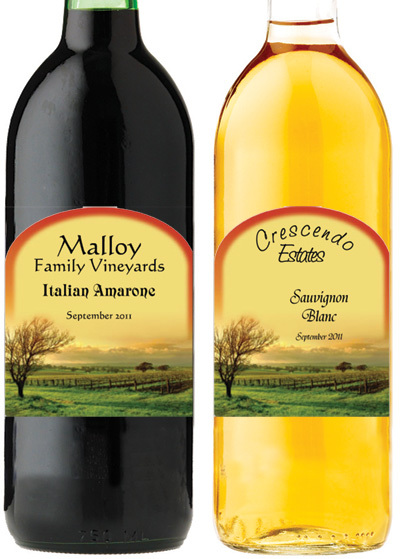 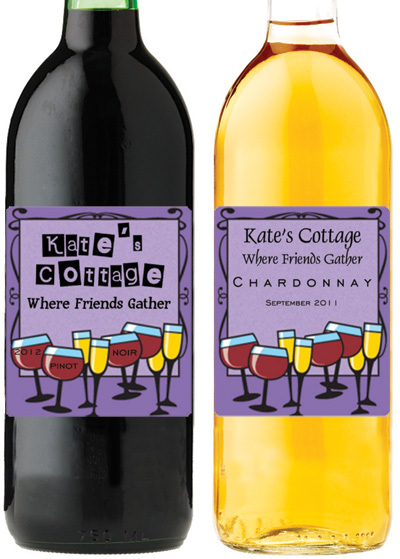 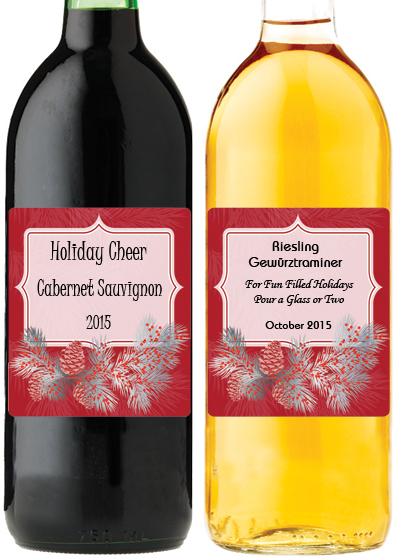 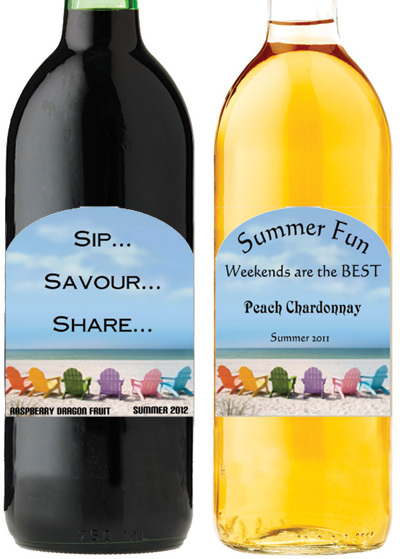 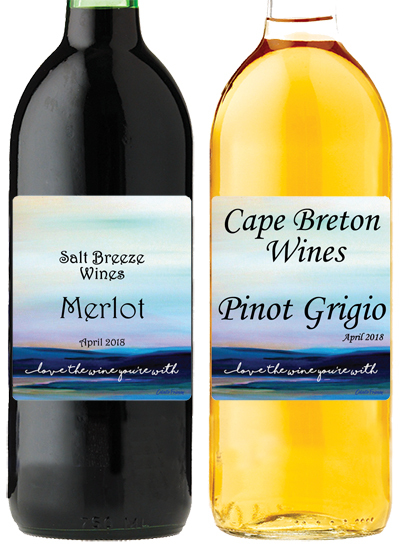 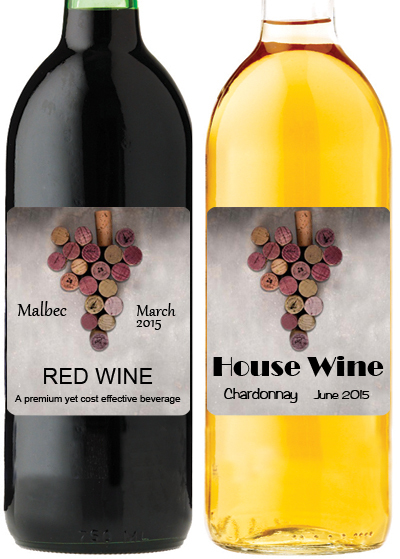 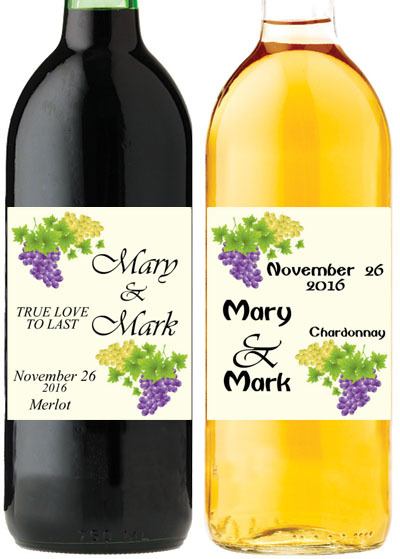 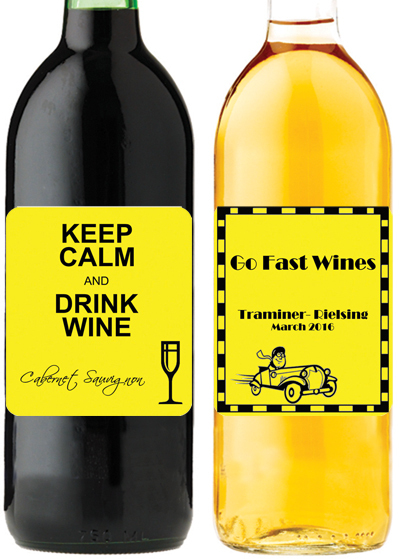 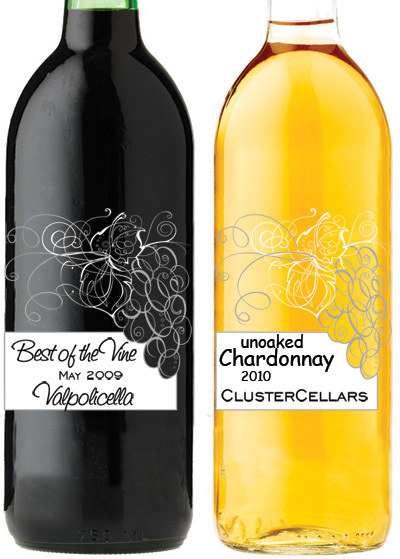 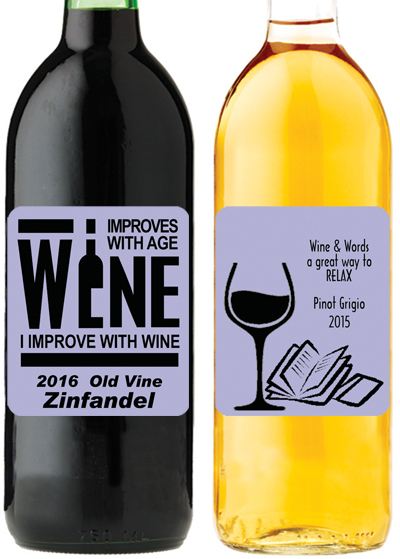 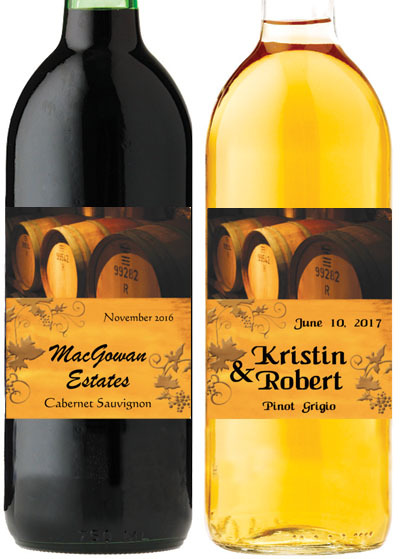 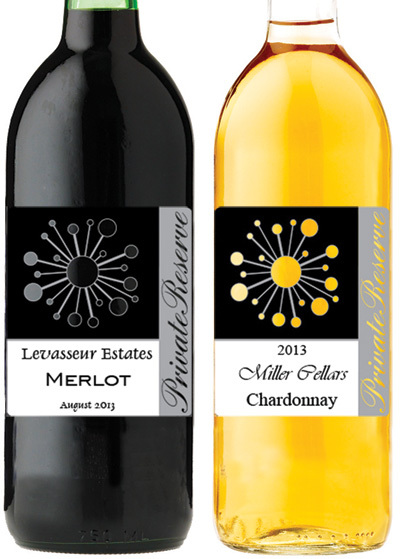 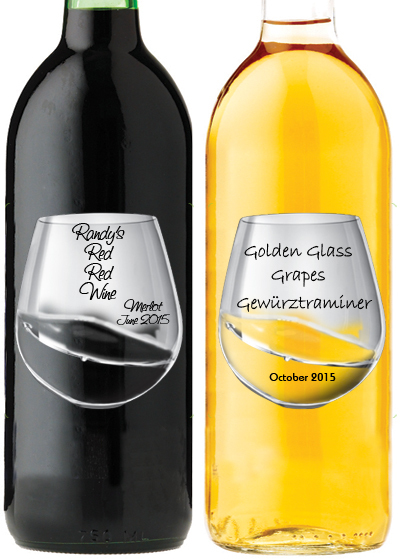 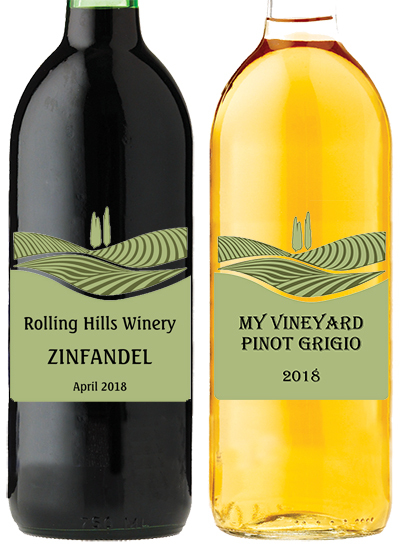 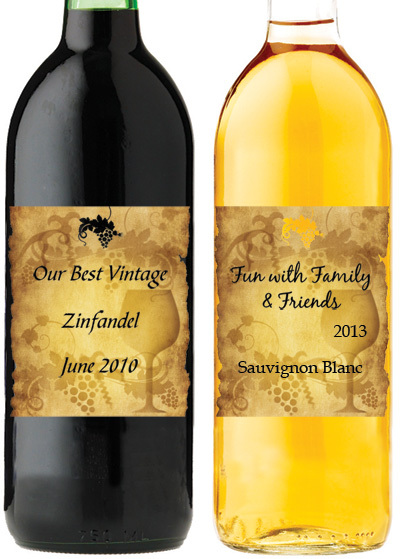 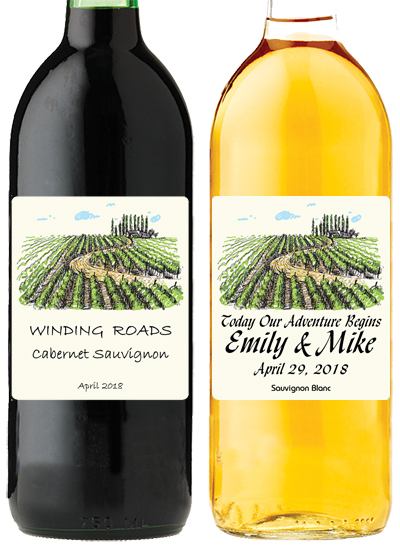 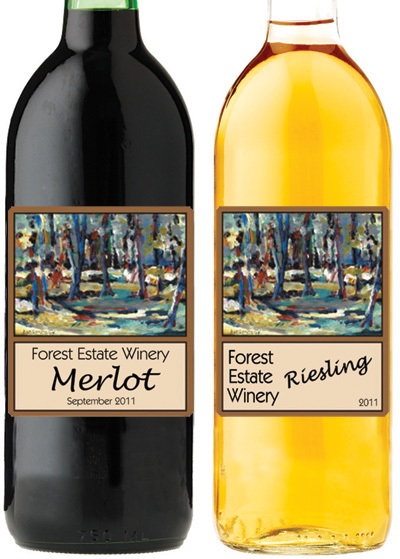 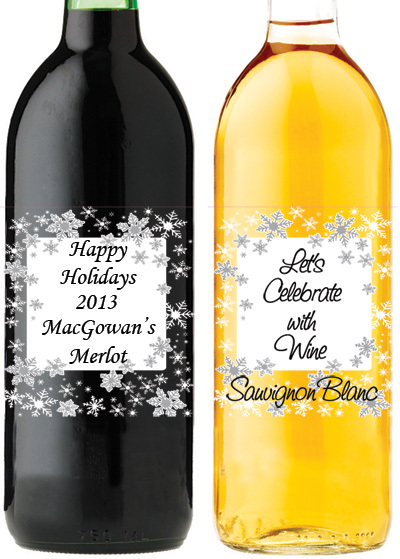 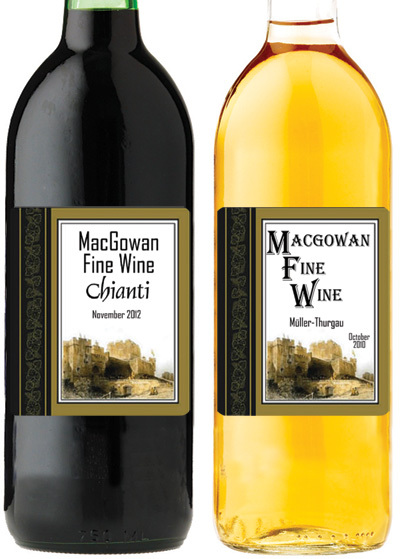 Custom wine labels help to enhance the look of the bottle and to add that special touch to your day. Visit our custom label section to view all the label templates that you can have personalized. 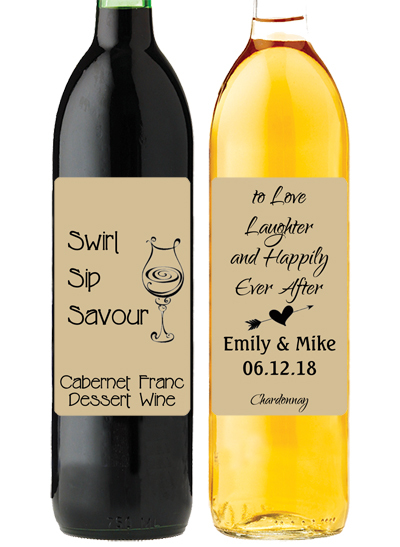 We have an endless array of fonts to choose from, or you can provide your own. 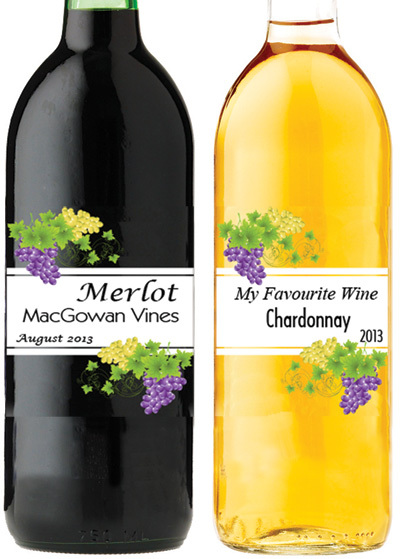 Labels are peel and stick and are easy to apply. 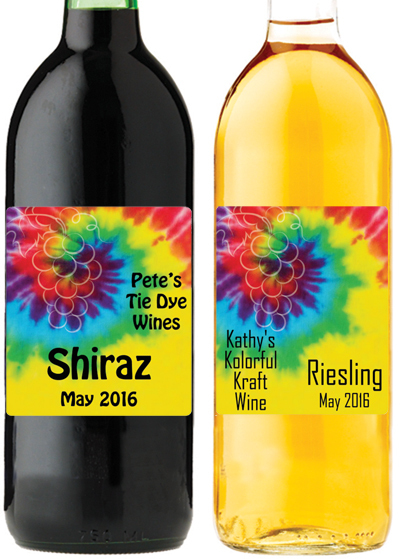 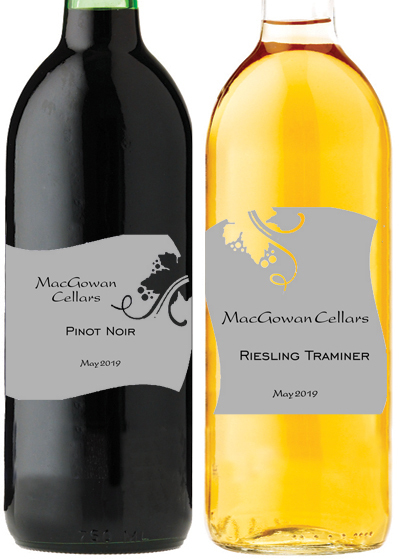 Top off your bottle with a foil shrink cap, which are available in a rainbow of colours, and your wine bottle is set for you and your guests to enjoy.